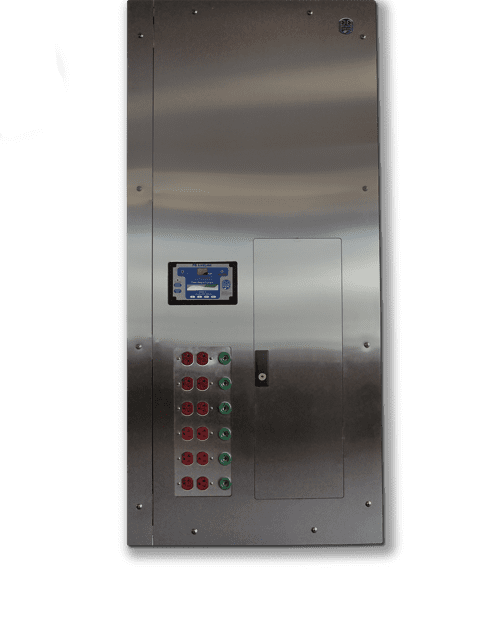 The Enhanced IPA Isolated Power Panel includes an industry leading 6” back box depth, a concealed hinged front, and offers a compact solution for 120V equipment loads providing power connections in a limited space. The IPA can incorporate up to eight power receptacles and/or seven twist lock ground jacks on the front of the panel. This feature is especially useful in areas where there is a need for localized power outlets therefore typically this panel is often installed in hospital ICUs, CCUs, and Trauma/ED.